The tiger, one of the most magnificent animals in the world, is also one of the most endangered. A cat of beauty, strength, and majesty, the tiger is master of all and subject to none - except humans. Of the eight original subspecies of tigers, three have become extinct within the last 60 years; and there are less than 50 South China tigers left on this planet -- few, and possibly none, survive in the wild. 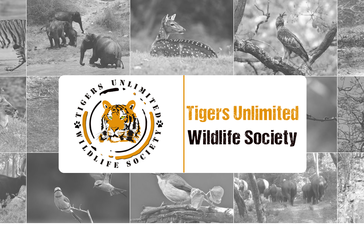 Save Our TigersTigers Unlimited Wildlife Society was formed when seven like minded people who cared about wildlife especially tigers met, and wanted to do something for its protection. We feel fascinated by the world of wild in the dense forests, even though wild and unabashed about the world beyond their home, every movement and every action hid grace, pride and fierceness amongst itself. Our VisionSee increase in Tiger population in wild and have improved and efficient wildlife conservation. Our MissionTo help forest department and forest guards in anti poaching camps in Forest of Karnataka State, India to fight poachers efficiently and effectively. And help in conservation of flora and fauna of the region.